I’ve learned a few lessons yesterday. When modifying a pattern to redesign it in to something else, do not think adding new finishing techniques will automatically work out. I sewed my jacket wool edge to my acetate lining edge. I thought the two were an equal length. Only after carefully edge stitching the entire length with ribbon did I discover they were not equal as particularly near the side seams the wool was being pulled upwards by the suddenly apparent shorter lining. I unpicked the whole lot, and tried to rearrange the lining so that it didn’t cause pulling. No joy. Eventually had that light bulb moment of why am I doing this to myself, lets just stick with a free hanging lining like all the other jacket patterns I have made recommend. But, how to salvage a now badly chewed up lining edge which was looking rather sorry for itself? well, I have added a ribbon finish to it as well! 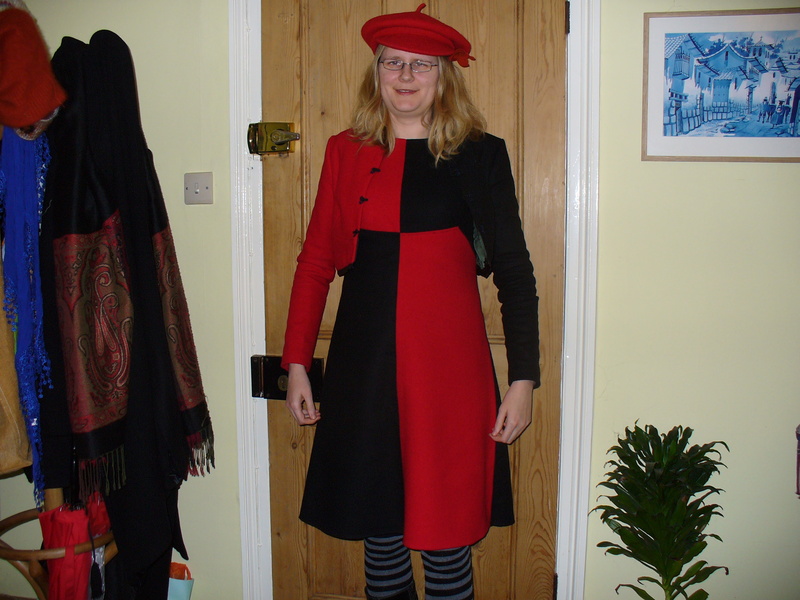 it now actually looks quite pretty and smart, and echoes the ribbon finish I added to the wool jacket. 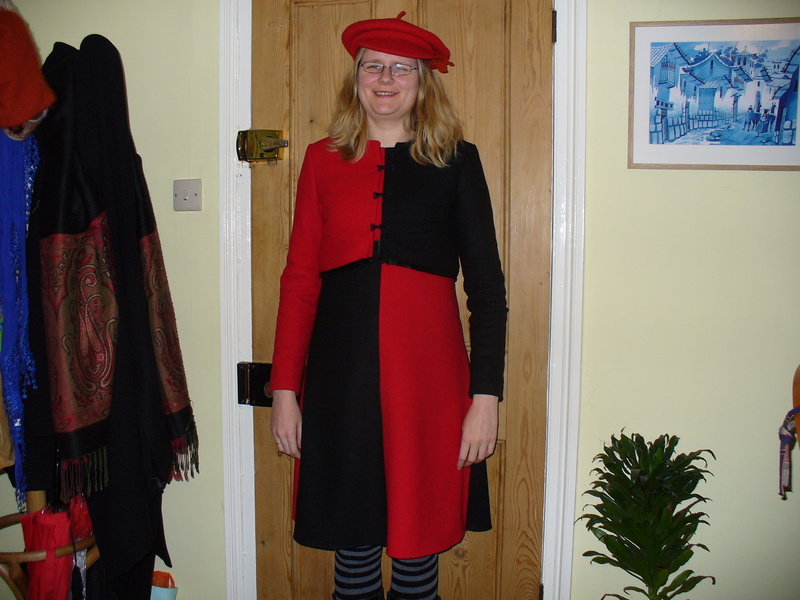 So here it is…the final outfit! the beret is from Venice (where I am going again this Sunday!) and has been a firm favourite in my wardrobe ever since. all ready to face the (very snowy) cold day! 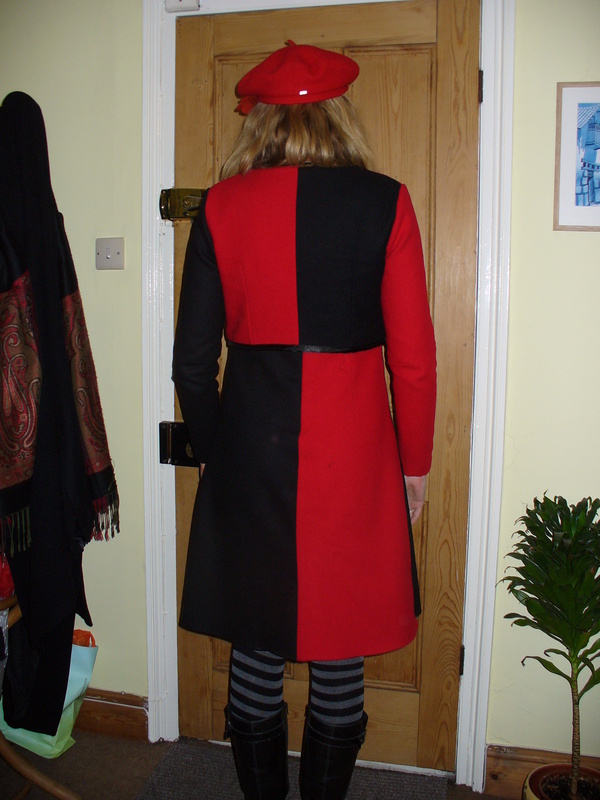 really proud of the fact the jacket perfectly lines up with the dress!